Ibiza is renowned for being the ultimate party destination in Spain, with a prestigious nightlife reputation offering the chicest hangouts, bars and clubs. Aside from the party scene, this island is famous for its crystal clear aquamarine waters, pearly white sand and natural rugged coastline. Put on the map by hippies in the 60s and 70s and by celebrities in recent years, its cool bohemian vibe still permeates throughout the island. This multifaceted destination has destinations ideal for romantic getaways and beach breaks to holistic retreats and unforgettable family holidays. Browse this guide and find the perfect holiday to Ibiza to suit you the perfect balance of party and chill. Plan a romantic getaway for you and your partner and rent a private villa in Ibiza. One of the best places to stay in Ibiza for couples is in Ibiza town, specifically near the fortified Citadel Dalt Vila, founded by the Phoenicians over 2500 years ago. Wander around the cobbled streets where you will find bustling bars, cafes and independent boutiques as well as a number of Art galleries and museums. Don't miss the nightly colourful 'hippie market' in the narrow streets of the old port quarter La Marina where you can pick up some typical Balearic trinkets. To experience the vibrant energy of Ibiza town, head to Plaza del Parque for a few drinks or an evening meal on a terrace, this square is bustling with stylish bars and restaurants where you can savour some of the best of Spanish cuisine. 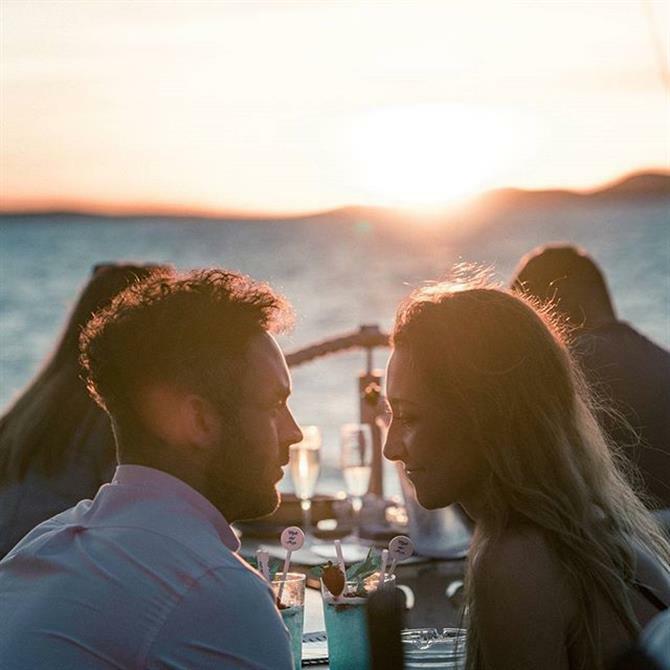 No couple can leave Ibiza without catching a classic Ibizan sunset, one of the most iconic places for this is at Cafe del Mar chiringuito in Sant Antoni. Enjoy dinner or drinks here and embrace the chilled lifestyle of the Balearics. Visit one of Ibiza's best rooftop bars, Tira Pallá. A popular spot with the locals but a more secret place amongst tourists find it just past Dalt Villa, boasting an amazing terrace and stunning views across the old town. San Carlos is an ideal location for couples that want to escape from the daily grind. It became famous in the 60s and 70s for being a "hippie village" and this relaxed bohemian vibe is what makes this village so special. 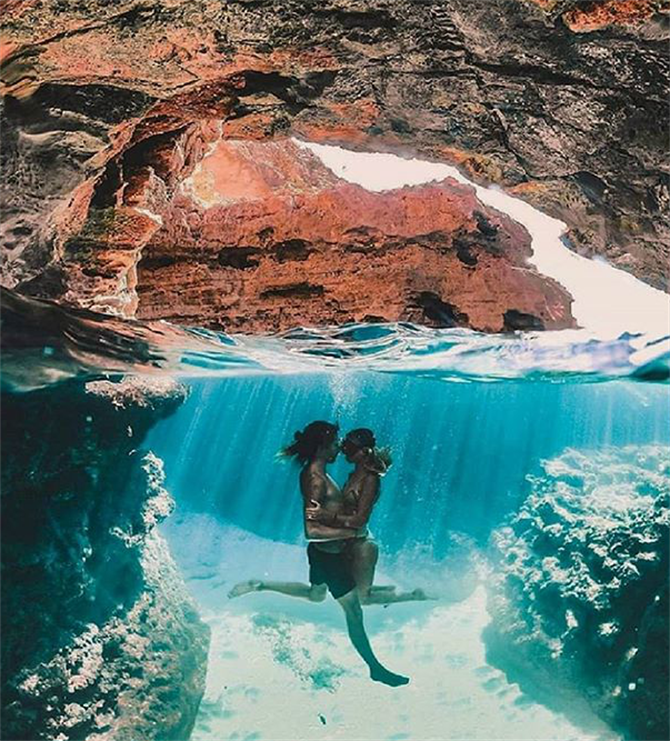 Disconnect from life back home and reconnect with your partner on one of the paradisiacal beaches and bath in the serene waters like Cala San Vicente. Don’t miss the Dalias Hippy Market on Saturdays, established in 1954 it is a romantic mix of music, art and food. Embrace the bohemian atmosphere and meander the stalls selling everything from clothes and jewellery to second-hand books and beauty products. 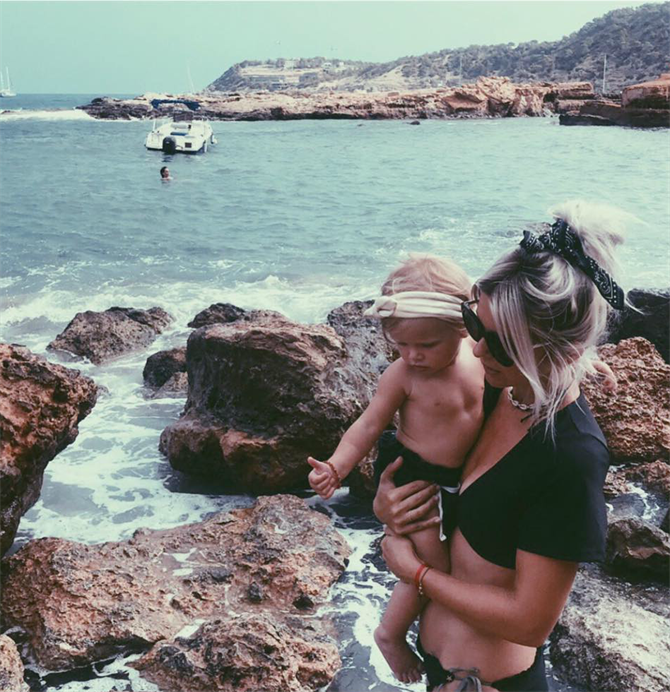 Many people overlook Ibiza for a holiday with children due to its prolific party reputation, however, the island has a quieter more tranquil side, ideal for families. One of the best locations for a family holiday home in Ibiza is Santa Eulalia, as one of the quieter destinations on the island, the beaches are pristine and have shallow, calm crystal clear water. The beaches also have many water sports activities to keep the whole family entertained as a well as a promenade with busy bars and cafes. Figueretas is just a short walk from Ibiza town, a great destination for families in Ibiza with a charming Mediterranean feel. A mixture of locals and tourists, the beaches are equipped with all the amenities and are renowned for being pristine and family-friendly. Situated in the north of the island is Portinatx, with three stunning beaches each equipped with facilities for family fun. The water here is unbelievably clear, calm and shallow making it ideal for young swimmers and the soft white sand is a great playground for children. The resort has many restaurants and bars catering to all palates. 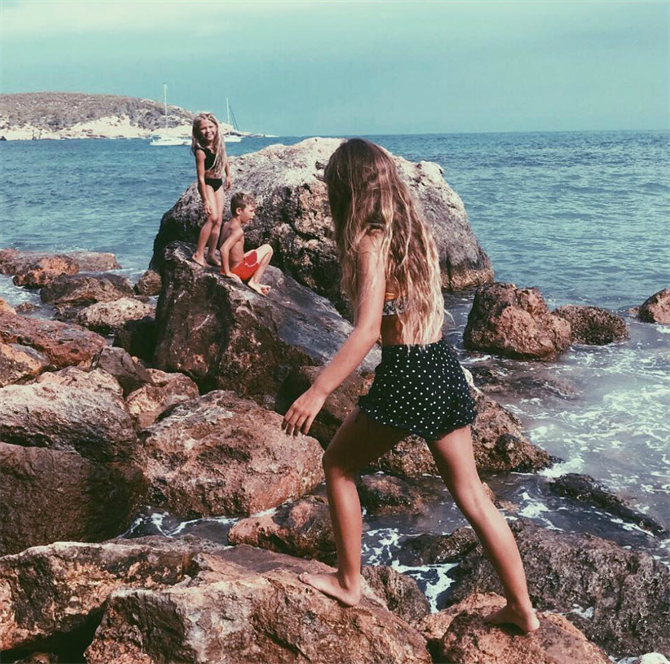 Take your children to Cala Bassa, just a short drive from San Antonio, for hours of entertainment climbing around the rock pools exploring the marine life. There are also pedalos and banana boats for endless family fun. Experiencing the nightlife in Ibiza is high on many people's bucket list. 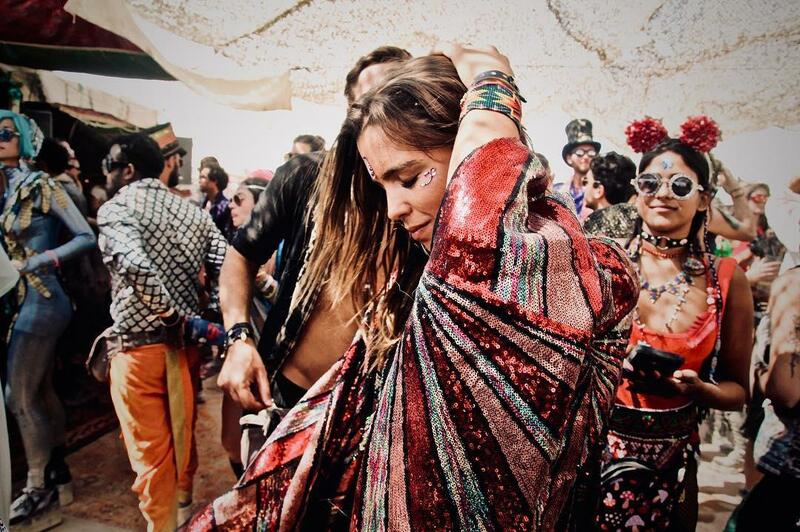 Having embraced the hippie and bohemian crowds in the 60s and 70s, the ravers in the 90s and the hedonistic hordes of today, there are no signs that the island is slowing down. One of the best places to stay in Ibiza to party is San Antonio. This legendary area is where the trendiest bars, clubs and cafes are located. Set in a beautiful bay, San Antonio combines cool beach vibes with an energetic and buzzing atmosphere. 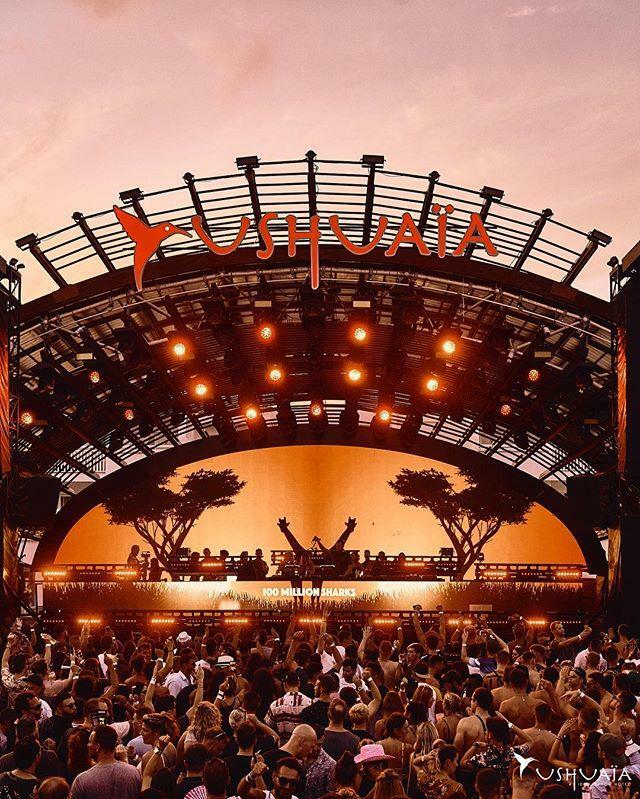 You will find superclubs such as Eden, Es Paradis and Ibiza Rocks where you can dance until dawn to thumping tunes from the world's top DJs. Throughout the summer these venues host events, so don't forget to check their websites before you go for tickets and entry prices. On Ibiza’s east coast, party your way along the island's longest beach Playa D’en Bossa, here you will find world-famous open-air club, Ushuaïa. Whilst partying in Ibiza can be pricey, this sunset strip also has clubs, bars and restaurants to suit all budgets. 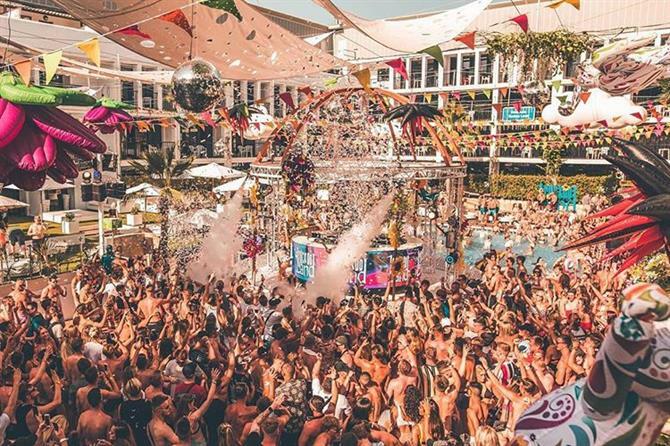 The superclubs in Ibiza are famous for throwing raucous parties don’t miss ‘Elrow at Amnesia’ for ultimate carnival party vibes featuring confetti and colourful cocktails or Ibiza Rocks for the best pool parties and famous DJs. Spend the day dancing on the soft sand under the heat of the Ibizan sun in the notorious beach clubs. These lucrative hangouts are often frequented by celebrities and wealthy clientele. One of the most exclusive locations is Blue Marlin which offers a water taxi service for people who have anchored their luxury yachts in the bay. For classic bohemian style head to Nassau on Playa D'en Bossa with full-moon parties throughout the summer or Kumharas in Cala de Bou with a laid-back hippy spirit. If you’re in Ibiza for the parties, of course, one of them needs to be at sea. With various companies offering boat parties, the general gist is to let loose, dance to the latest tunes, take part in games, sunbath on the deck and enjoy a constantly topped up drink. Some of these parties set sail in the evening so you can party with the iconic burnt orange sunset in the backdrop. 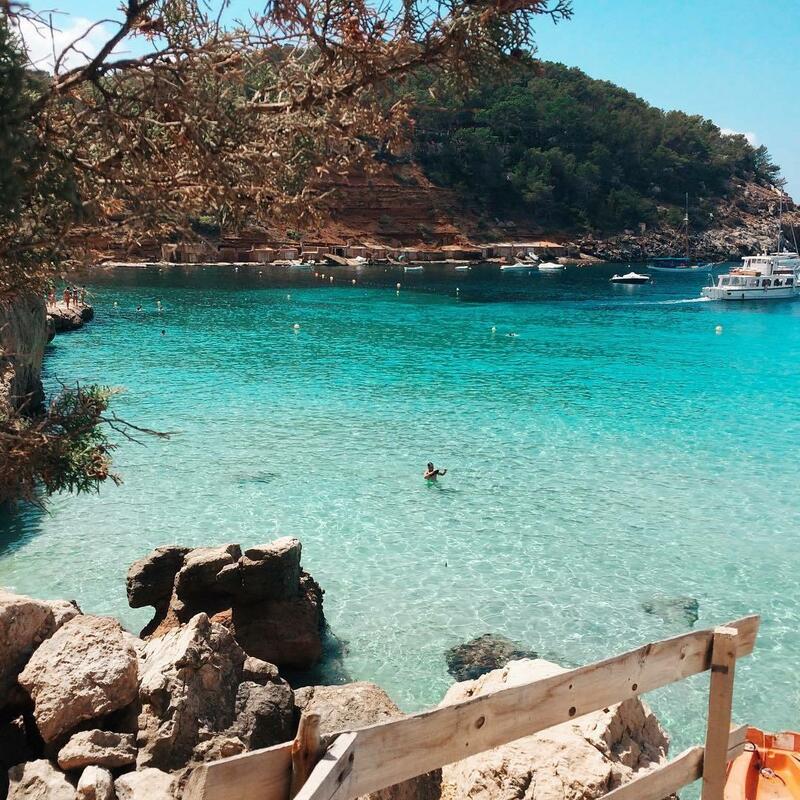 Known as the 'white isle,’ from the 80 beaches in Ibiza, wherever you stay on the island you will find secluded natural coves and sparkling turquoise bays surrounded by luscious pine forests. This island has beaches ideal for family holidays, party-goers and those perfect for rural escapes. Las Salinas is the best beach in Ibiza for those seeking the vibrant party atmosphere. Here you will find the young, hip crowd and maybe even a sprinkling of celebrity guests chilling and sipping cocktails on sunloungers to the tunes from the beach bars in the background. For those wanting to escape from the daily grind of life back home, stay in an Ibizan beach villa and head to bohemian beach, Benirrás. This spiritual bay is popular amongst those seeking some 'zen' and to disconnect. Don't miss Sunday evenings on this beach when crowds gather to watch the sunset to the sound of tribal drums. Ibiza is full of little 'calas' and hidden beaches for ultimate relaxation, just a couple of these are Cala Llentrisca, Cala Salada and Cala D'Hort with the iconic backdrop of small island Es Vedra. For beaches with Balearic charisma discover the beauty of Cala Pada and Playa Niu Blau. 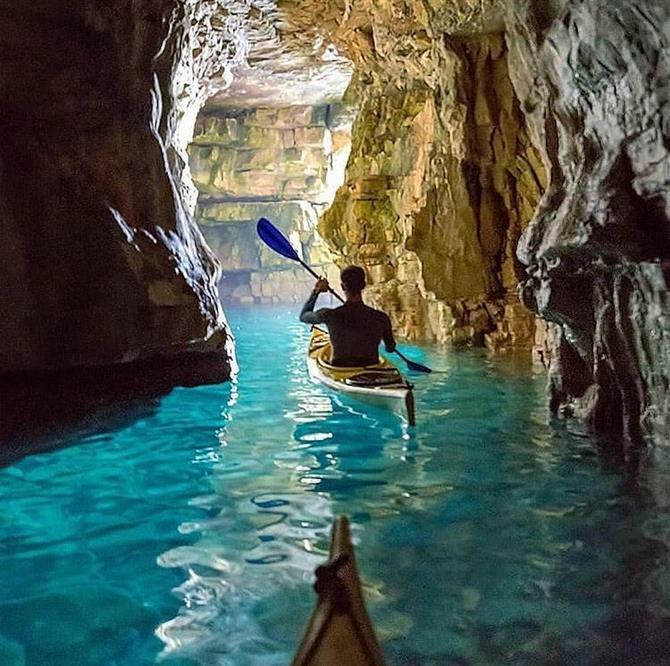 These tranquil stretches are surrounded by lush green pine forests. Relax away from the crowds with the calm, transparent waters lapping gently on the shoreline. Es Cavallet is famously one of Ibiza's official nudist and gay-friendly beaches in Ibiza, popular for its natural beauty and its proximity to Ibiza town. Cala Blanca and Aguas Blancas are two other naturist beaches. Aguas Blancas is a more well-known spot for naturism with a beach bar so if you seek more privacy hike to Cala Blanca, this remote location can be tricky to get to but will be worth it when you do. There are no facilities here so here so pack a lunch and enjoy the serenity of this bay. Over the years, rural escapes and tranquil retreats have become a popular choice for reasons to rent a country holiday home in Ibiza. 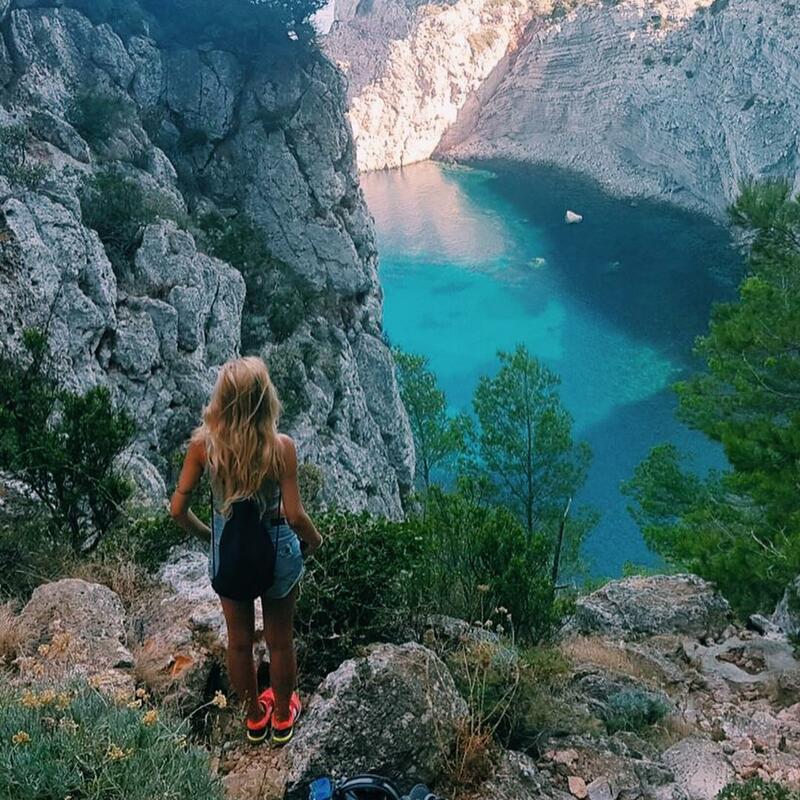 Its rugged, unspoilt coastline offers great hiking trails and snorkelling opportunities as well as locations with unparalleled views for a daily yoga practice. For those who want to explore Ibiza's stunning coastline, one of the best routes is through the protected park Es Amunts. Prepare packed lunch and spend a day discovering indigenous wildlife, hidden coves, lush fields and pine trees. Start your day off right with some yoga on the beach in Ibiza, the Beachouse on Playa D'en Bossa offers free yoga classes every weekday at 9 am. After your morning stretch, treat yourself to their rustic Mediterranean menu or rent a sun lounger for the ultimate day of beach relaxation. Ses Belandres is one of Ibiza's best excursions, access to this small fisherman's cove is not easy as you have to climb down a rickety wooden ladder, but the views and photo opportunities when you get there are worth it. With small huts and wooden slopes built by local fisherman, it is a little gem in the north of the island. Descend into Ibiza’s caves at Can Marça and discover ancient passages of smugglers. With dramatic stalagmites and stalactites that have formed impressive temples and pools of shimmering water, smugglers inscriptions are still visible on the cave walls. You can also explore more of Ibiza’s fascinating caves and rugged coastline by taking a kayak tour along the coastline with a certified and qualified guide. Due to its crystal clear waters, rocky coves and lush seabeds, Ibiza is ideal for snorkelling enthusiasts. 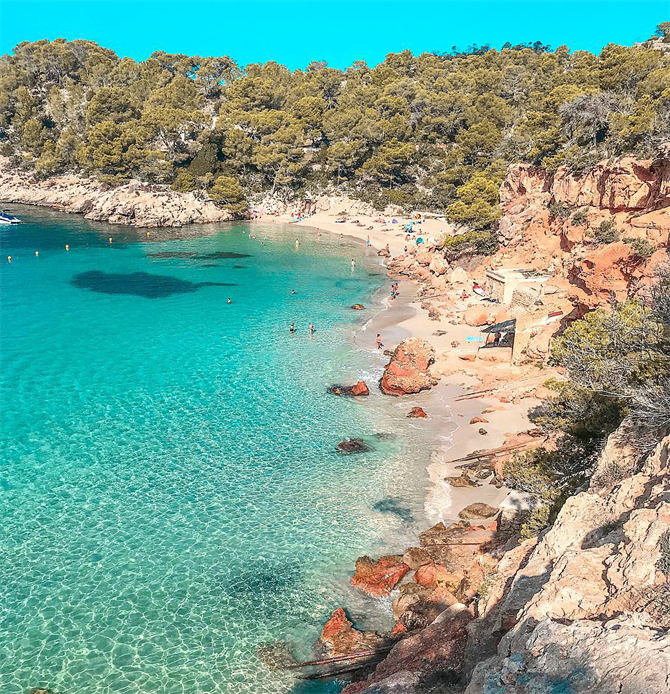 Slip on your flippers and head to locations such as S’Estanyol beach, a small bay with pretty fisherman's huts and underwater wooden structures or Cala Xarraca, a sheltered cove with calm waters and a rocky seabed. If you don't fancy to venture out alone, there are companies in Ibiza that offer snorkelling excursions. They will provide all the equipment as well as an education on Ibiza’s marine life and underwater paradise. Cliff Jumping in Ibiza is one of the most popular activities, suitable for adults and children, experience the rush of adrenaline as you leap off and face your fears. Find classes taking place with Ibiza Cliff Diving in fixed locations in a safe environment under the careful supervision of qualified instructors. Over the years, Ibiza has seen a growth in holistic tourism, with people seeking to disconnect from life back home, relax, read, hike, practice yoga and generally practice clean living. 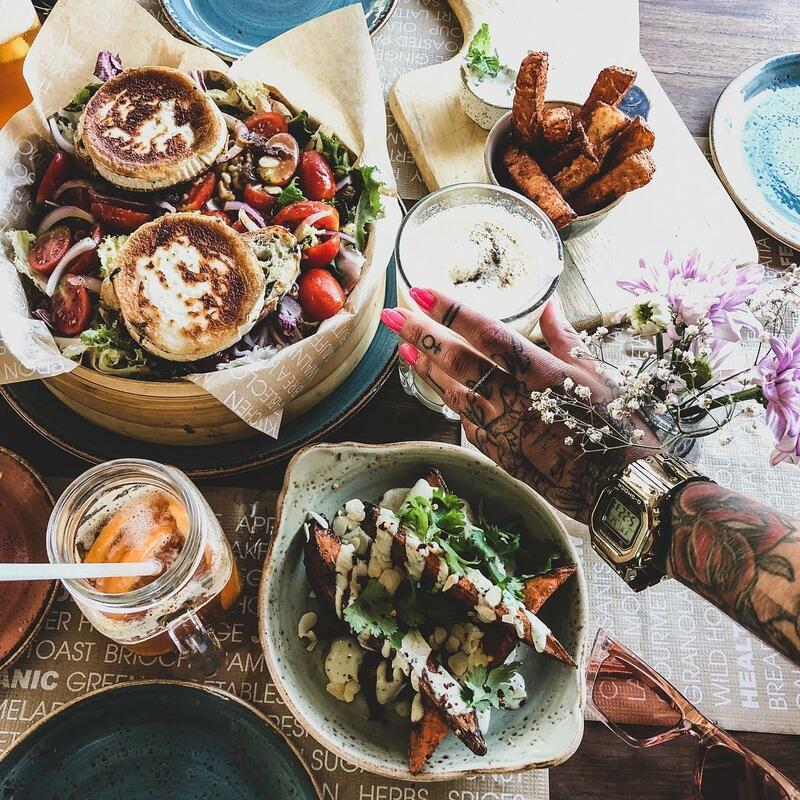 Alongside its traditional Spanish cuisine, Ibiza has become one of the best places in Spain catering for vegans and vegetarians. Passion Cafe has been voted the best cafe in Ibiza and healthy eating destination since 2013. Situated in 7 locations around the island, they source locally grown food only, feast on the rainbow with a nourishing acai bowl or cure your hangover with one of their 100 juices and smoothies. One of the most romantic date settings in Ibiza can be found at Amante Beach club. Take your partner for an evening meal and share a classic paella with the moonlight glistening on Sol D’en Serra bay and dramatic cliffs in the backdrop. Whilst you’re there this venue also hosts atmospheric open-air cinemas, relax on big bean bags and snuggle under blankets and watch classic films with the soft sound of waves lapping on the bay. The Giri Cafes ethos is based on local, seasonal and sustainable foods. 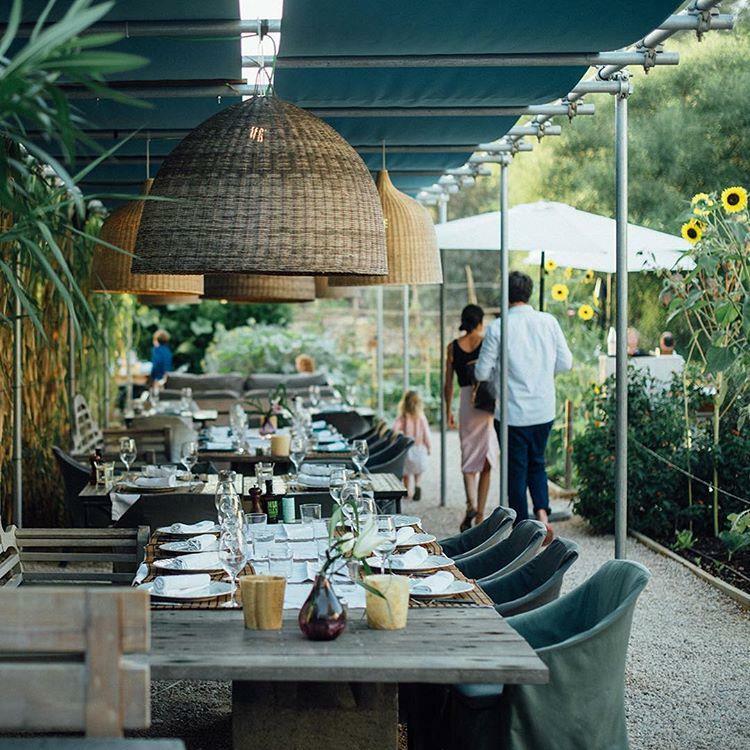 Rustic and stylish rolled into one, their menu features dishes created from harvesting herbs fruit and vegetables from their own site garden. Lounge on a sunbed surrounded by foliage and sunflowers and dine al fresco in the stunning gardens. Located in San Joan, The Giri Cafe is a must visit for health-conscious foodies in Ibiza, expect traditional Spanish food with a modern flare. Combine refuelling for the night ahead with partying at KM5, this converted farmhouse attracts glamorous clientele dining on their gourmet menu alongside DJs on the decks. Be sure to browse the fashion boutique and art gallery featuring designs and pieces from artists across the globe. 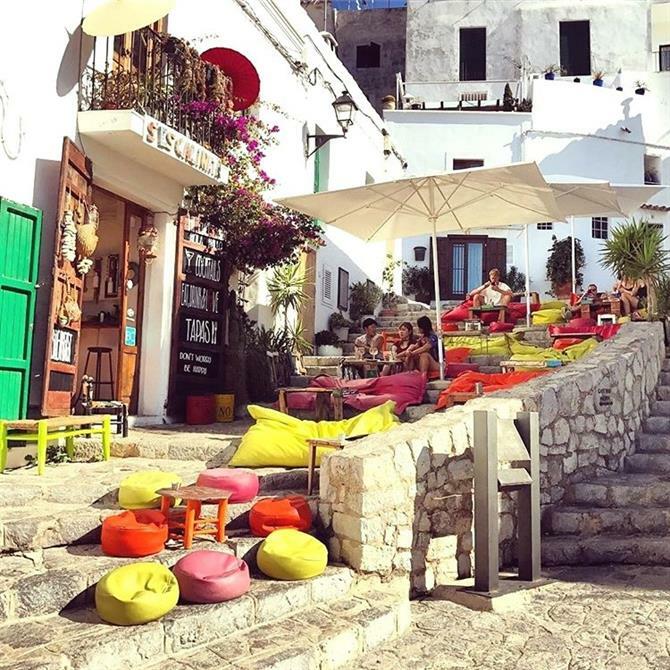 S’Escalinata is one of the coolest hangouts in Ibiza as well as one of the most photographed. Emanating authentic bohemian vibes, spend the afternoon lounging on colourful bean bags staggered up the cobbled stairs of D’Alt Villa. Another popular spot to catch the sunset, watch the world go by, sample some tapas and relax. For some authentic tapas in Ibiza, head to La Bodega located in the old town. This converted storehouse incorporates local tradition and Ibicencan decor and is always bustling with locals and tourists. Whether you want a country escape, an unforgettable family holiday or live it up in some of the world's most famous clubs, you will find holidays for all tastes on the island of Ibiza. Relax on its picturesque beaches, snorkel on its shores and explore its history, Ibiza waits for you. No, we don't mean the bottom of a pint glass. Or doing the Harlem Shake on the dancefloor. Get out and about on Ibiza. To discover it's the real deal. 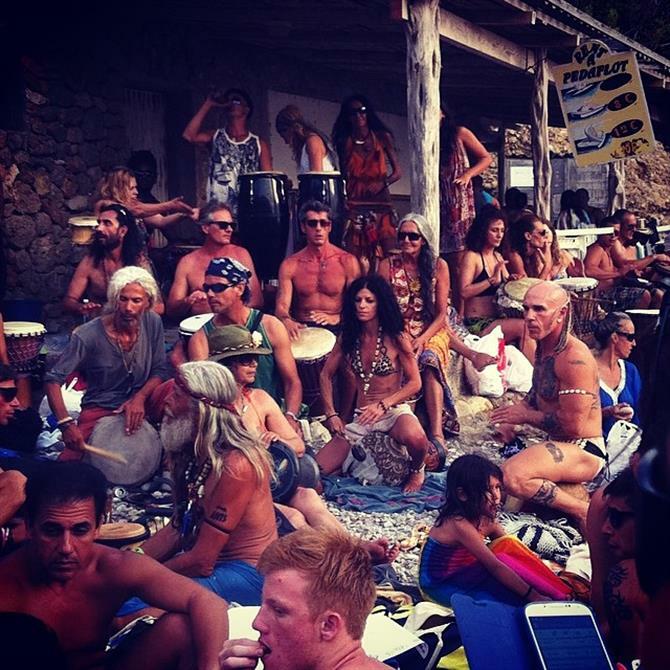 Do "hippy dippy beaches" really exist in Ibiza? Clubbed to Death in Ibiza? All clubbed out on Ibiza? 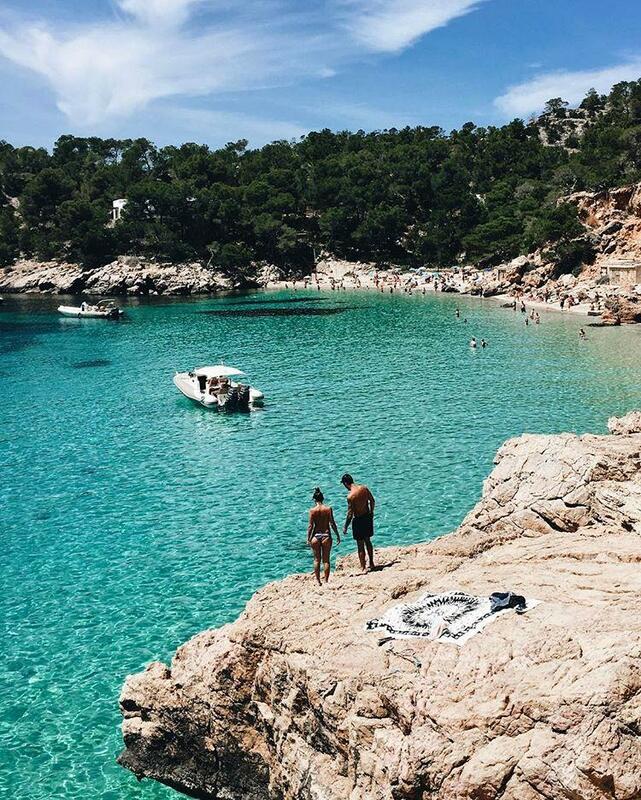 Take a break from the dancefloor and discover what natural highs the White Isle has to offer. Chill in the great outdoors.